Only 2hrs from Glasgow and a scenic drive through lochs and glens arriving in Kintyre is the icing on the cake! With rolling hills behind and west coast islands all around it is hard to think of a more beautiful spot in Argyll. Kintyre is also served by no less than 5 CalMac ferries making access from other parts of Scotland easy too. Point Sands enjoys the enviable position of its proximity to the much loved island of Gigha, also known as 'God's Island' . Many of our owners and visitors spend sun kissed days on the golden beaches or enjoying a meal in the newly recognised Michelin acclaimed island restaurant. Kayaking, paddle boarding, bike hire, rock climbing, fishing and golf! 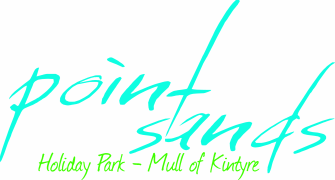 It is all on your doorstep when you visit Point Sands. A tranquil and breathtaking drive from Glasgow brings you to a place where you can leave all your work stresses behind and soak up the fresh sea air and the gentle west coast breezes.